Ronna Mandel, a freelance writer for JLife and L.A. Parent magazines, is the mother of a high schooler and a daughter currently living and working in London. Ronna, her husband and two children moved back to the States in 2006 after living abroad for 10 years in Frankfurt and London. 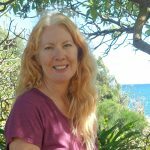 Now residing in the San Gabriel Valley, Ronna enjoys writing about all things reading related in addition to parenting, educational and special needs topics. 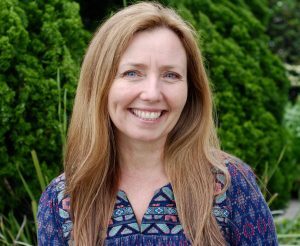 When her head’s not buried in between the pages of a book, Ronna is creating her own stories for children and is an SCBWI LitMingle Co-coordinator in Pasadena. As the founder of GoodReadsWithsRonna.com, Ronna interviews authors, reviews children’s books and educational products, organizes giveaways throughout the year and promotes reading-related events. As of January 2017, Ronna began writing monthly for JLife magazine covering the San Gabriel and Pomona Valleys. Contact Ronna directly at ronna@goodreadswithronna.com and via Twitter @goodreadsronna, or @RonnaWriter, as well as on Facebook, Instagram, Pinterest and Google +. Wishing you happy reading! Cathy Ballou Mealey is a poet, children’s book writer, and autism advocate. She also has worked as a crossing guard, hash-slinger, gift-wrapper, tutor and pet sitter. After earning degrees from Wellesley College and Harvard University in psychobiology, classical civilization, and education, she became gainfully employed in college admissions, financial aid, career counseling, student support and governance. Along the way she has learned how to thrive as a lefty in a right-handed world and to play alto saxophone. Cathy blogs about children’s books and writing at http://bildebok.wordpress.com. She lives north of Boston, Massachusetts with her husband, two children and a wheeping guinea pig named Storm. Contact her at cmealey@post.harvard.edu, or Twitter (@CatBallouMealey). Her debut children’s picture book, When a Tree Grows, will be out in spring 2019 from Sterling Publishing. 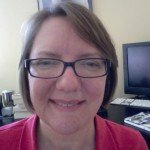 Christine Van Zandt is a freelance editor (owner of Write for Success) and writer. Her children’s and adult stories in both fiction and nonfiction have been traditionally published. In October 2017, she was awarded an Honorable Mention in the 86th Annual Writer’s Digest Writing Competition for her children’s picture book. Christine lives in Los Angeles with her family. Find her on Twitter @ChristineVZ and @WFS editing. Colleen lives in Los Angeles, California, where she writes both fiction and nonfiction picture book manuscripts. She hosts the monthly Picture Book Publisher Book Club and its companion blog, Picture Book Publishers 101. In addition to working as a writer, she has been a bellydancer, preschool teacher, bookseller, tour guide, nanny, janitor, and several furry Disney characters. She loves to travel almost as much as she loves talking about, reading, and writing children’s books and if you ask her to dance, she will always say yes (because she also loves to dance). Colleen’s debut nonfiction picture book will be published by Simon & Schuster and is due out in 2020. Ozma Bryant has worked with children for the past 15 years, first as a Heath Educator/Performer with Kaiser Permanente working on conflict management with children from 3rd–6th grade. After her daughter was born, Ozma went back to school to become a preschool teacher, and joined The Garden staff in 2008. In 2012, Ozma decided to take a hiatus to care for her child and write children’s books. During that time, she also completed training to become a NeuroFeedback assistant to provide therapy for adults and children. 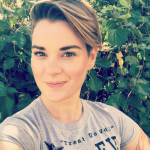 A member of SCBWI, Ozma is crafting MG/YA stories focused on mental health as well as co-running an Adults Who Read YA book club in La Canada, Ca. Ozma is returning to her preschool roots in 2017 as a part-time teacher at The Garden. Ozma wants to live in a world where ALL children have access to stories that breathe truth into their hearts and help them feel more accepted for who they are. She firmly believes that we need representation across the board for kids. Check out #WeNeedDiverseBooks! www.ozmabryant.com + www.thegarden.com. Hilary Taber is a graduate of Azusa Pacific University and is currently pursuing her master’s in education. She has read over 400 children’s books. These have ranged from board books to the latest young adult titles. Hilary’s great grandmother was a first grade teacher who had inspired her mother with a love of children’s literature. Thus, this love of children’s literature has been passed down from one generation to the next and, like any fine heirloom, is treated with great respect and care. Her reviews have been published in BookSense (now IndieBound), Publisher’s Weekly Online, and her review for The Penderwicks was used by the publisher for advertising. Hilary has formerly worked as a children’s bookseller at Vroman’s Bookstore, Pasadena, CA. While at Vroman’s, she met Eloise illustrator, Hilary Knight, and had her own copy of the book signed! In her spare time, Hilary enjoys all things Jane Austen, and going out to tea with her best friend, Meaghan. She dreams of taking a literary tour of England and Ireland. Hilary is very dedicated to her family which consists of her mother, father, younger brother and a small black and white poodle named Cam. After graduating from Cal State Northridge with a Master’s Degree in English Literature, Armineh Manookian worked as a Freshman Composition instructor at the same university. She found her love of cooking and children’s picture books as a stay at home mom, taking care of her two kids. An immigrant from Iran, Armineh enjoys reading and writing about culturally and socially sensitive issues. She finds her work as a Kids Hope mentor to at risk children deeply rewarding. Feeling a cool autumn breeze, picking out pumpkins, shopping at Trader Joe’s, taking brisk walks, trekking long hikes, and studying the Bible are a few of her favorite things. Her most recent accomplishment is dancing the rumba to Michael Buble’s “Sway with Me” with her husband of 20 years. Dornel Cerro has been a children’s librarian for 17 years and has spent the last 10 years as librarian at Sequoyah School in Pasadena. You can find more kidlit reviews at her site http://milehighbooks.blogspot.com. After your typical career as a database designer/schoolteacher/small-business CFO, Mary Malhotra is focusing on the next obvious thing, short story and novel writing for the YA market. 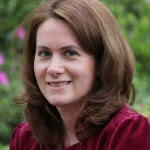 A member of SCBWI, she has participated in writing workshops at UCLA Extension and the Writer’s Center (Bethesda, MD). Her YA novel COMMON HOURS is on its first full revision (and fourth working title). She lives in La Canada, California with her husband and lots of pictures of her grown kids. Find her on Twitter @MCMalhotra or at www.Facebook.com/MCMalhotra. At Good Reads With Ronna, we’re always looking for new reviewers, especially for middle grade, YA, kids crafts, family cooking, parenting and special needs titles. If you think you have what it takes and are willing to commit to at least one review per month, send a sample book review to ronna@goodreadswithronna.con and write Book Reviewer in the subject line. Thank you in advance for your interest.